I recently returned from the DevLearn 2015 Conference, which is always an incredibly inspiring learning experience. So, here are some of the sessions that impressed me along with the slide decks/resources that are worth sharing. Great insight on what CLOs and org leaders need/want from training professionals. Also, challenges/obstacles and problems in current elearning/L&D. David provided some creative ideas for using video and even showed some tips and tricks in Articulate StoryLine. FYI: No PPT, but David works for Articulate, which has the Rapid eLearning Blog and the eLearning Heroes site both of which are chock full of tips and resources. Rick's session on interactivity reminded me not to get stuck recreating the same old interactive assets. He discussed the levels of interactivity, Bloom's Taxonomy as it applies to using interactions and he provided great examples. It was a great audience and he was very good at getting them to share ideas and solutions during his session, which was also invaluable. While I could not attend this session because it coincided with my own session, otherwise it would have definitely been on my list of must attends, I did make it a point to grab her presentation slides off the resource page. It has some great design tips and tricks along with some good tool resources. All the resources provided by the DevLearn presenters are available at devlearn15.com/resources. Next week I will be presenting at eLearning Guild’s DevLearn Conference. It is always a thrill to attend the conference and a real honor to be presenting too. Below is a link to my presentation, hope some of my readers will be there and attend my session. If not, hopefully we will meet during other conference happenings. Also, Thursday night will be the live #Lrnchat (an online Twitter chat), which is always a blast. Stop by the #Lrnchat table right after DemoFest. 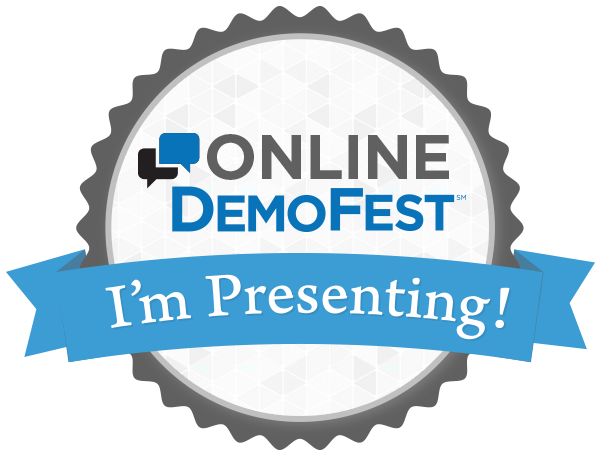 On August 19th and 20th, the eLearning Guild will be holding its very first online version of their world renowned DemoFest. It will kick off with an opening session from two ever impressive speakers, Jane Bozarth and Karen Hyder. Like all the eLearning Guild's DemoFests, this will be a chance to see some wonderful online solutions for real world learning and support challenges. There will also be opportunities to ask questions and pick the presenters' brains. Visit the Online DemoFest page to see a listing of all the presenters. 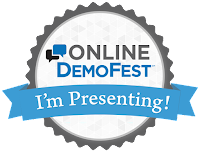 My shameless plug - I will be demo’ing my “Mission: JHome Content Manager” on Day Two of this Demofest. So, register today and I hope to see you there.